Die Wahlkommission (EC) hat am Mittwoch in zwei Wahlbezirken die Neuauszählung der Stimmen bei der Parlamentswahl und in sechs Wahlbezirken eine Neuwahl angeordnet. Die zwei Wahllokale befinden sich im Bezirk Nam Pong in der Provinz Khon Kaen. Die Ergebnisse stimmten laut EC nicht mit der Anzahl der Wahlbeteiligten überein. In sechs weiteren Wahlbezirken muss die Wahl wegen Unregelmäßigkeiten wiederholt werden, und zwar in Lampang (2), Yasothorn, Petchabun, Phitsanulok und Bangkok. When the Future Forward Party (FFP) was being formed, people looked at them condescendingly. After all, they were just a bunch of new and inexperienced faces attempting to play in the big league. so long as they achieve their sinister objectives. A seasonal change usually brings inclement weather. And so this stormy political weather is to be expected. The establishment is being shaken up to… to its core, not by its traditional enemy but by an unknown, untested force with an army of young, enthusiastic followers. 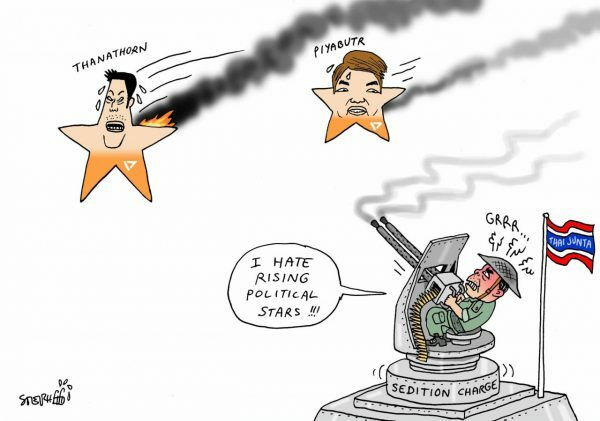 Please credit and share this article with others using this link:https://www.bangkokpost.com/opinion/opinion/1657468/old-guard-cant-halt-the-turning-tide. View our policies at http://goo.gl/9HgTd and http://goo.gl/ou6Ip. © Bangkok Post Public Company Limited. All rights reserved. lange noch einen Stachel ind den A…. der Herrschenden stechen. Thanathorn ist sicherlich ein anderes Kaliber als Thaksins Hassprediger! Thailand zurück in die internationale Wertegemeinschaft bringen will! und nicht nur Sprechblasen produziert wie die 4.0 Volksverarscher von Vorgestern. because he had just been freed from the police station after he had been fighting for freedom. That's it. My driver told me that on that day my car was followed by a state car," he said. Please credit and share this article with others using this link:https://www.bangkokpost.com/news/general/1656652/ffp-boss-rejects-ncpo-claim. 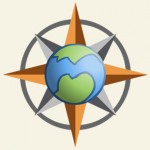 View our policies at http://goo.gl/9HgTd and http://goo.gl/ou6Ip. © Bangkok Post Public Company Limited. All rights reserved. Dort zeigte dieses "gute" Militärregime sein wahres Gesicht! Ich war ja 2010 bei Thaksins Volksrevolutionsoper dabei. jedenfalls bis zum 29.April keine solche Brutalität der "Ordnungskräfte" erlebt! in D ausgiebig im Fernsehen sehen. so wie sie es von den meisten Eltern vorgelebt bekommen! Ich wünsche Thanathorn noch viel mehr Hype und Zulauf. Auch wenn dies keine Lebensversicherung für ihn ist sondern das Gegenteil! POLITICAL PARTIES yesterday called on the Election Commission (EC) to reveal each polling station’s ballot count and hold new elections or re-count ballots in more than just the eight centres where it claims to have found discrepancies. Pheu Thai Party MP candidate for Samut Prakan province, Chatchai na Bangchang, filed a complaint with the EC yesterday, calling on the agency to re-count the ballots as well as investigate the conduct of local election referees. Several irregularities have been reported, he said, adding that in some stations there was an inconsistency in the numbers even after the ballots were counted twice, while referees in other polling stations refused to let observers in. Mahachon Party’s Palinee Ngamprink, a transgender MP better known as Pauline, filed a similar petition yesterday, calling on the EC to disclose the election results in detail. 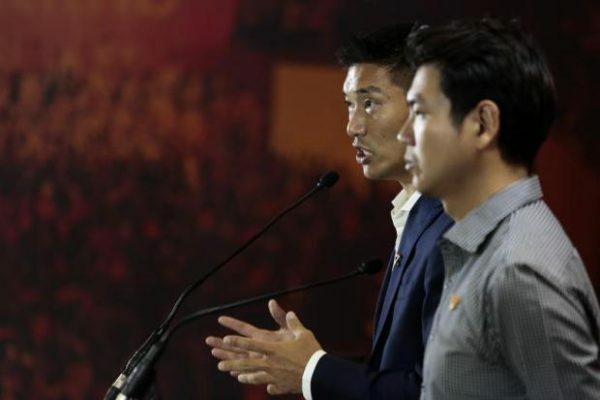 She emphasised that according to unofficial results announced the day after the election, her party had won more than 390,000 votes, but later the EC claimed Mahachon Party had only won some 17,000 votes. Future Forward Party also yesterday called on the EC to reveal the results of the more than 92,000 polling stations nationwide to ensure transparency. The party said its members had tried contacting individual polling stations for results, but they were turned away by officials who said the information was confidential. The EC commissioners had on Wednesday decided that ballots would be recounted in two polling stations, while re-election will be held in six others. 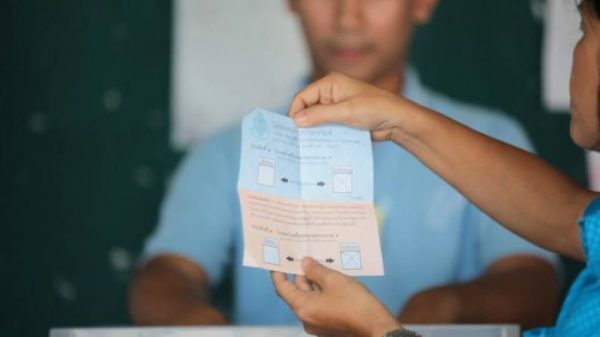 Major discrepancies in ballots cast and voter turnout were reported in 10 polling stations, but EC deputy secretary-general Sawang Boonmee said yesterday that the case had already been settled in four of them. 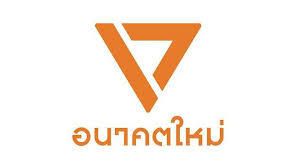 The two polling stations where the ballots will be recounted are in Khon Kaen province. Sawang said the number of ballots counted, the voter turnout and the number of ballots cast did not tally. Such inconsistencies could mean some ballots have either gone missing or have been taken out of the polling stations, a phenomenon that the EC has been referring to as “skippy ballots”. 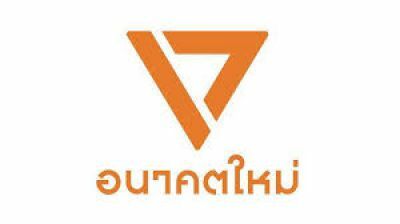 The six polling stations where a by-election will be held are in Lampang, Yasothon, Phetchabun, Phitsanulok and Bangkok provinces. The EC official explained that a re-election was required because the number of voters and ballots used were inconsistent and officials were unable to identify the cause. “The MP election law states that the EC can order a re-count or a re-election if there is proof showing the election in that constituency was unfair or the counting was incorrect,” Sawang said. The candidates in the constituencies requiring a new election will remain the same, he said, adding that they can campaign for votes but the budget will be reduced in line with the law. 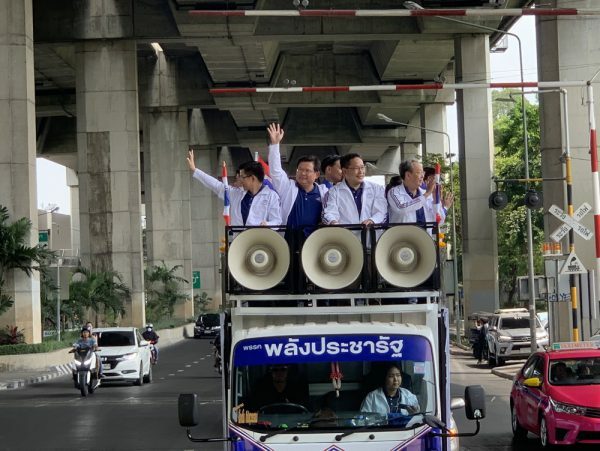 In Bangkok, the station that will require a by-election is in Bang Kapi district, where several parties have demanded a re-count or re-election due to massive irregularities. Future Forward Party, which was also one of the complainants, remained dissatisfied, saying a re-election in one area will not make much difference to the election result of an entire constituency. Irregularities have been reported in many polling stations in the Bang Kapi constituency, the party said. As for the four polling stations that will face no action despite discrepancies, the EC official said this was because the electoral officials were able to explain what had happened. He said that in most cases, voters had torn up their ballots after marking the wrong box and were not aware that this was unlawful. In one case, he said, a voter had mistakenly put a copy of his ID card on an A4 sheet of paper in the ballot box and taken the ballot home. The referees found the copy of the voter’s ID card while counting the ballots and were able to track down the voter. They discovered the ballot paper in the voter’s car and charged him with illegally taking the ballot out of the polling station. Zunächst mal muss ich meine Verwunderung über die Nation ausdrücken! kehrt sie Heute zu "normalem" (?) Journalismus zurück. die man besser nach Tutzing hätte verlegen sollen! um sicher zu stellen dass nur Stimmen für "gute" Kandidaten gezählt werden! wäre also als Wahltag durchaus geeignet!